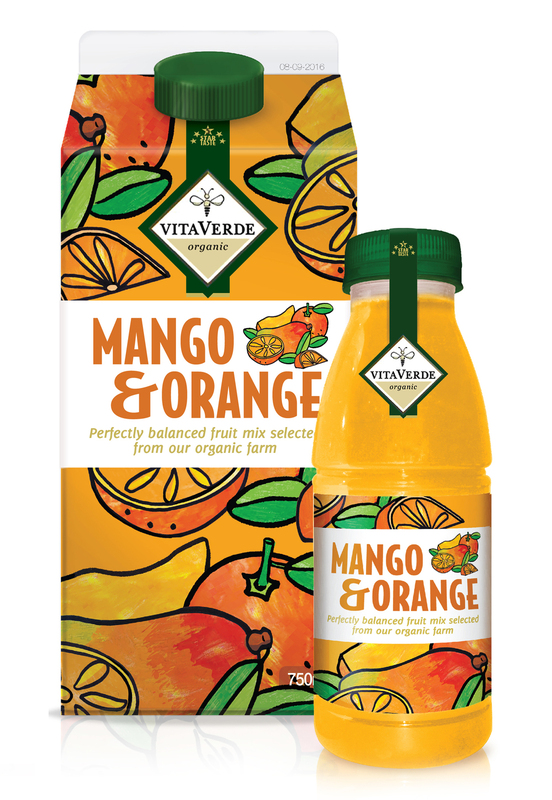 With a 5-star taste and a sustainable mission, Vita Verde organic juice is both high quality and highly respected for its green practices. The company needed a new logo and tasty packaging to fully express both the richness of their product’s taste and environmental commitment. We used saturated colours to reference the juice’s full taste, illustration to evoke care and craftsmanship, and then placed the Vita Verde logo on a ribbon like a seal of quality.